Over the past two weeks Scouts all over Southern Africa have been taking action in response to the devastation wreaked by Cyclone Idai. 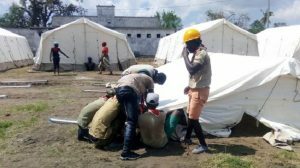 Particularly hard-hit were Mozambique, Zimbabwe and Malawi, and the National Scout Organizations in those countries have tried their best to mount disaster relief efforts to assist their compatriots. In a heart-warming show of solidarity, each of those countries has received support of ± USD 10,000 under the Messengers of Peace Emergency Fund. The Africa Support Centre of the World Scout Bureau has likewise launched an initiative to raise additional financial support through the World Scout Donation Platform, and is keen to work with the affected NSOs to come up with long-term recovery plans beyond the relief phase of operations. Moreover, Scouts all across the Southern Zone have helped raise awareness about the destruction and hardship wrought in Mozambique, Zimbabwe and Malawi through Facebook, Instagram, WhatsApp and other social media networks. So far the response from Scouting circles has been good, but more can be done. In Mozambique, where Idai hit hardest, the Liga dos Escuteiros de Moçambique (LEMO) has mobilized teams of Scouts and Rovers to help distribute donations of food, goods and clothing, administer vaccinations for cholera and other infectious diseases, clean up flooded schools/health clinics/cultural centres, erect tents at resettlement centres, undertake malaria-prevention measures, assist with panic prevention at distribution points, help register losses of property and infrastructure, perform first aid, and care for persons injured during the catastrophe. Bravo! In the aftermath, LEMO Chief Scout Leonardo Adamowicz has appealed to the Southern Zone Scouting fraternity for additional assistance. In this regard the priority needs have been identified. “A Scout is a friend to all and a brother to every other Scout.” We therefore CALL on SCOUTS South Africa members and alumni to support LEMO financially or by donating a number of specific items – listed below – which our Deputy Chief Scout Khonzaphi Mdaka and our Chief Commissioner Andrew Tanner will hand over at the Southern Zone conference when they drive up end April. To facilitate donations (international transfers, exchange rates, etc.) 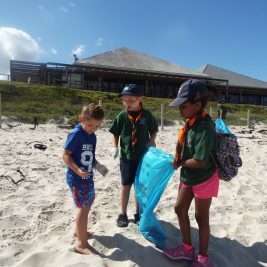 SCOUTS South Africa encourages members with CREDIT CARDS to donate towards LEMO and the aid of the people in Mozambique through the World Scout Donation Platform. For members who DO NOT HAVE a CREDIT CARD but want to make a financial donation, SSA will collect donations on behalf of LEMO and will transfer all monies received to LEMO on the closing date of 30 July 2019. Please send an email to international@scouts.org.za for our reference. Gauteng Regional Office: 3 Glen Road, Bramley, Johannesburg. Open Wednes to Fri. Tel: +27 (0)11 440 64 90. Mpumalanga Regional Office: 37 Marloth Street, Nelspruit Village, 1218. Open Mon to Fri. Tel: +27 (0)13 752 65 09. If you live in another Region and want to help please consider a financial donation through the World Scout donation platform or into the account above. At the Zonal level, the Emavulandlela Swaziland Scout Association, which is hosting the 14th Southern Zone Youth Forum and Southern Zone Conference in Eswatini from April 24-28, is encouraging participants to bring along donations. These will be collected and delivered to LEMO as a solidarity gesture in the name of the Southern Zone. The items will be stored/safeguarded until they can be transported to Mozambique by road. In response to queries, LEMO has stated that it is too early for volunteers to come to Mozambique to help with rescue and relief efforts because logistics, transport, accommodation and food are inadequate at this stage. Cholera and malaria are problems, too. Plus, receiving young foreigners into the country is rather complicated. However, the Chief Scout has indicated that plans for ongoing rescue efforts, rebuilding of Scout centres and the physical participation of brother and sister Scouts in training courses and community work will be discussed during the “Solidarity Camp” in Dondo from June 20-24, 2019. 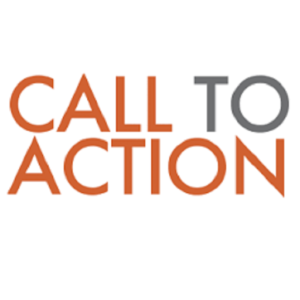 “The notion of “Creating a Better World” relies on individual resolve and collective action. Shall we not contribute to this process by helping our fellow Scouts, who are facing dire and perilous circumstances, to help their fellow citizens in their time of need?” Jim Kastelic, Communications Officer Southern Zone Executive Committee.